The game shall come for PC internationally and Arcade Japan only. If you’re an old-school fighting game fan at heart, I’ve got something good for you this morning. 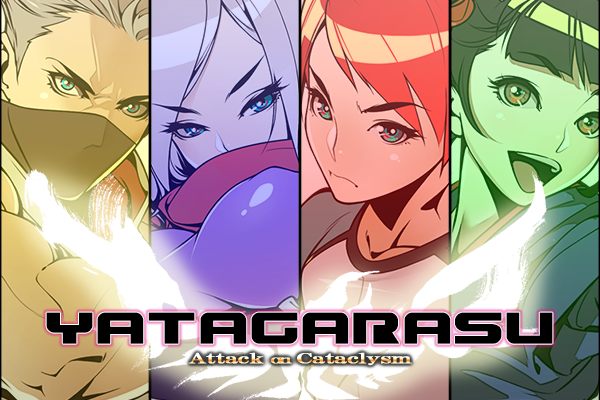 Our old pals Nyu Media, who previously brought us such Japanese indie titles as Satazius and Fairy Bloom Freesia, are now collaborating with three former SNK/KoF developers to bring us a very cool-looking 2D fighter: Yatagarasu – Attack on Cataclysm. A true passion project, Yatagarasu has been in development with limited funding for the last six years. It features an 8-character roster, lovely 2D graphics, and a very unique commentary system which provides dynamic, real-time commentary for your matches. They’re currently raising donations via Indiegogo to further expand the scope of the game and add a host of great new features, including new characters, improved gameplay, online support, full localization, and commentary (using aforementioned dynamic system) provided by famous tournament players. You can buy/check the game HERE!